Women can pee anywhere without sitting, with the help of this Revolusnariy urination device. most of the women are hating this revolutionary device, but now it's become so popular in the women. Whether you are a housewife or 9 to 5 corporate worker no matter from where you or your caste or creed even it doesn't matter you are white or black it matters if you are women. You must have had faced this issue that can be felt by most women around you or in your network. It’s all about where to pee comfortably without inviting any infections and any inflammations. which causing further trouble and days of inconvenience. Most of the time, ladies compelled to hold their pee because of the need for a bathroom, wherever their visiting, is so dirty that you can imagine the unimaginable happening to your body. And the sad part- all of us go through this, at least one in life you must have faced some problem like this. Don’t you know, ts is totally unsafe to not pee for hours on end cos it exposes our bodies to potentially harmful bacteria, which can increase your chances of getting a urinary tract infection or bladder infection. Urinating is the body’s form of detoxification and is one of the most important jobs of your body. Many of us at some occasions tried to choose not to ‘sit down” on the commode and pee they tried to half sitting down to urination, if you are one of this then remember it is never a good choice for your pelvic muscles and must be avoided this bad habit. a revolutionary device for women stand and pee anywhere no need to find a safe toilet. Now here we have found a great revolutionary device which commands you in public and with full confidence, you can pee anywhere without thinking about sitting down, its true new area scientist has found out a solution for women pee off. Let's talk about detailed information peeBuddy is the first portable, disposable and highest-selling female urination device, which offer the ability to all women to stand and pee in all friendly toiles.l The product has also been recommended by many doctors for use during pregnancy and arthritis. The story of pee buddy is very much funny as well as interesting there were four couple s who were on drive at highway of Mumbai-Jaipur in the meantime an idea arose in mind when they think deeply about how men like to drink anything at any much but other hand women were trying to refraining from even consuming water. Now women's have to enjoy there life with the urinary device. Yes, many of the time I noticed that any or all toilets, portable or otherwise, get dirty only in a matter of a few hours. It is due to this reason that women find it. uncomfortable to attend outdoor concerts. But the gravity of the situation hit me the hardest during the time of our pregnancy when I realized how restricted life becomes for a lady especially in the last trimester when it takes a lot of physical efforts. For her to sit and stand back up while peeing. 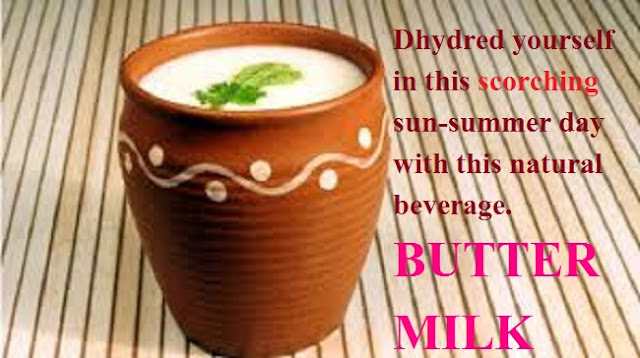 Remember this activity can arouse the chances to UTI during this period. This issues, therefore, were clearer to me than ever before. That is why not as soon as the idea of beeBuddy as a potential solution for all the toilet-related problems faced by women came to meme dedicated me to turning the radical possibility into an accessible reality. 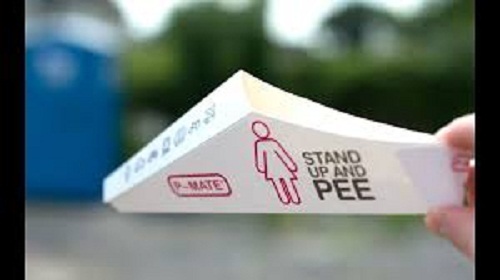 peeBuddy is a simple, portable, and disposable cardboard-based device which women can use to stand and pee especially in unfriendly toilets. All that is required to be done is to place the device between the flow area and pee. Does the toilet habits of men and women the same or different? Now man or women both can pee standing in the same toilet without any chance of infection. There are different. Men can stand and pee anywhere without a worry in the world while women must keep in mind several factors while planning their day and especially their trips. Visits to the loo always factor in their calculations. For instance, if you are working and your office is more than an hour away, you most probably will use the loo at home before leaving for work. Similarly, before leaving for home, you would use the restroom, rather are the very terrible condition of the public toilets in the country, a woman, unfortunately, is required to plan her activities painstakingly around bathroom breaks. Is pee buddy is safe for all ladies or age restricted? 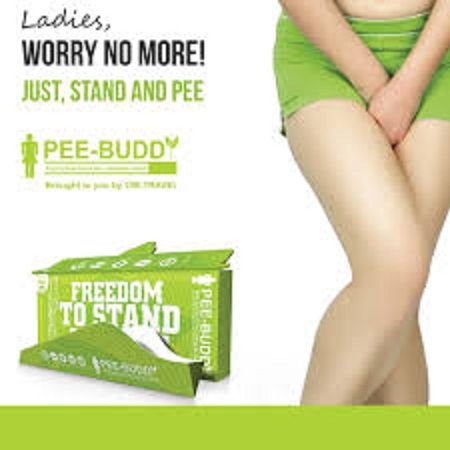 Remember PeeBuddy is a device for women safety urination so any women of any age can use this product. It doesn't matter that she working professional or college-going girls during pregnancy or in old age, a woman can use PeeBuddy anytime and anywhere, especially in the case of unfriendly public toilets. Tell me in brief, how does pee buddy benefits to women who are constantly on the move. 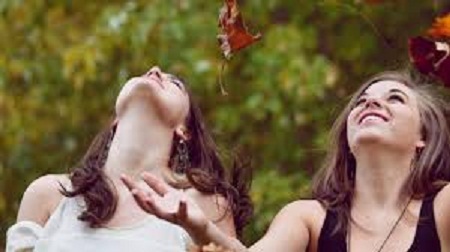 Happiness in women after understanding the benefits of urinary Device. Most of that an antiseptic spray does is reduce the possibility of a person contracting an infection. However, even the possibility is not entirely nil. On top of that, a spray can't remove the dire congealed on the toilet seats, which can only be done by wiping it. Even after that, you’d choose to hover and squat rather than sit on the seat. Ti is these very issues that we are trying to avoid for women, If the seat isn’t clean, no worries – just maintain your distance and stand and pep. The reason as those women said in their story, they told that consuming liquids would lead to an urge to pee and it is very difficult to come by a clean toilet during trips such as these. It was then that I exclaimed playfully about how cool it is for us men to be able to stand and pee anywhere. And this, a friend recalled how she had seen someone in Europe use a makeshift bottle to pee while standing, and now we are able to pee and stand without thinking about the dirty toilet. 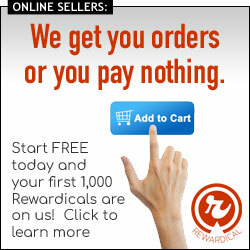 keep using this revolutionary device and be safe and feel confident.